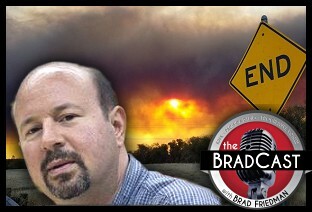 " New Admin Climate Report Contradicts Trump, Demands 'Urgency Unlike We've Seen Before': 'BradCast' 11/26/2018	"
« PREVIOUS STORY "Sunday Thankful Toons"
"New Admin Climate Report Contradicts Trump, Demands 'Urgency Unlike We've Seen Before': 'BradCast' 11/26/2018"
That downward-sloping highway looking more like a cliff. Home to half the world's population, Asia accounts for three-fourths of global coal consumption today. More important, it accounts for more than three-fourths of coal plants that are either under construction or in the planning stages - a whopping 1,200 of them, according to Urgewald, a German advocacy group that tracks coal development.